Why wear the Graduation Robe Regalia? Wearing the graduation robe regalia is one old tradition practiced by numerous academic institutions for years. When it comes to commencement exercise or academic formalities, the graduation dress is one of the most popular items that are associated to this special event. During this occasion, candidates and professors alike, wear different kinds of graduation regalia together with the other academic items and accessory as well. Some of the things that are associated to this are the academic stole and cord. Graduation regalia sash from Bestbuttman would be a good choice as to integrate to the other academic items. With their fine quality fabrics, they will surely blend well with the other academic pieces. In terms of the history of the graduation robe regalia, there are several versions that support this established tradition. One of the famous accounts to this practice is how it is derived from the religious clothing. It has been said that the academic regalia itself was strongly influenced by the clothing that is worn by church ministers during the 12th century or during the Medieval Europe. Along with the stoles, cords and hoods, the academic costume materialized and the adoption of it was carried on for years, spreading from different places around the world. The other adaptation of this is how it was taken from regular robes worn by everyday people. Back then, people would fashion robes as their everyday street wear. Both males and females would be seen wearing different kinds of robes and furthermore, these robes are also an indication of the person’s standing in the society. Fine quality robes and exceptional craftsmanship would most likely indicate that the person belongs in an elite society. Gradually through the years, groups, organizations and guilds created their own respective robes for their members to wear. The dress became a sign to a membership to a certain group. The academic division made their lines of various robes implying the different degrees of education. The bachelor’s master’s and doctors have their own distinct robes. Since then, the wearing of the dress was adapted by numerous schools and through time, it had extended to other academic institutions and up until today, the custom is still being strongly embraced. 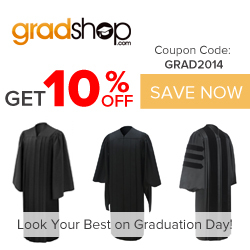 There are several reasons why graduation robe regalia are worn during academic formalities. Considering the distinguishing structures of each type of these graduation robes, wearing them would serve a recognition purpose. People would know what degree of schooling the graduate had completed through the kind of robe he exhibits. The bachelor, master and the doctor’s academic robes have unique designs and this would be easily distinguished by the person attending to the event. Other than this, the wearing of the academic dress simply implies the notion of academic accomplishments. It is worn by individuals who had persevered through time and had exerted all the needed efforts to acquire its title. Fashioning the academic robe during graduation has been an old practiced done scholar. The robes themselves are significant academic items that hold the idea of academic triumph. Therefore, using such thing is definitely a privilege to be taken. Вы можете start-sport.com.ua в любом городе.